Doreatha Lawson McKenzie was born in Perry, Georgia on January 10, 1946 to the parents of the late Nona Lawson and the late Norah Lawson. 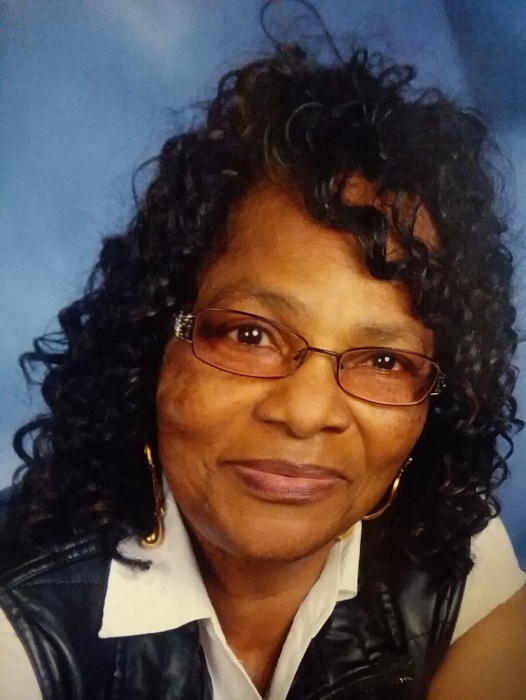 Early in life, she accepted Christ at the Oldfield Baptist Church and later moved her membership to the New Hope Baptist Church where she served faithfully on the Usher Board and Kitchen Committee. Doreatha was employed for fifteen years at Rose Laundry Mat in Perry, until the business closed, and Perry High School. She loved her church family especially her Pastor and his wife. Most of all, she loved her husband of 53 years and her four girls. Those grand kids and great grands was her delight! Doreatha memories will be cherished by a loving husband of 53 years William J. McKenzie, four daughters Kimberly (Willie) Wynn, Perry, GA; Angel (Anthony) Brown, Byron, GA; Consuelo (Gene) Mooreland, Warner Robins, GA; and Treva, McKenzie, Perry, GA; four brothers Jimmie Lawson, South Carolina; Willie (Anne) Lawson,Perry,GA; Albert Lawson, Perry, GA; Leon (Natalie) Lawson, Fort Valley, GA.,two devoted and loving sisters Ezarine (Oscar) Fenn, Lake City, Fla, and Oralene (Charlie) Billings, Warner Robins, GA; five brother-in-laws Sammie McKenzie, Montezuma, GA; Jessie (Annie Ruth) McKenzie; Fort Valley, GA; Tommie McKenzie, Montezuma, GA; Paul (Lorane) McKenzie, Perry, GA; Alvin (Regina) McKenzie, Fort Valley, GA; eleven sister-in-laws Lillian Bryant. New Jersey; Mildred Joseph, Warner Robins, GA; Lois Scott, Reynolds, GA; Dorothy (Hugh) Logan, Pearl (Afton) Bradford, Perry, Ga; Elnora (Lawrence) Rodger, Montezuma, GA; Mary Ann McKenzie, Perry, GA; Paula McKenzie, Macon, GA; Nancey (Milton) Walker, Bonaire, GA, Frances (Tom) Harris,Hinesville,GA; eight grandchildren, eleven great grandchildren, a host of nieces, nephews, cousins, other relatives and friends.